Artists, weavers and sisters, Rhonda and Margaret Duncan have come from their country around Urapunga/Roper River/Ngukurr in the Nothern Territory to share the ancient and traditional art of fibre weaving. Rhonda and Margaret Duncan share the ancient and traditional art of fibre weaving. 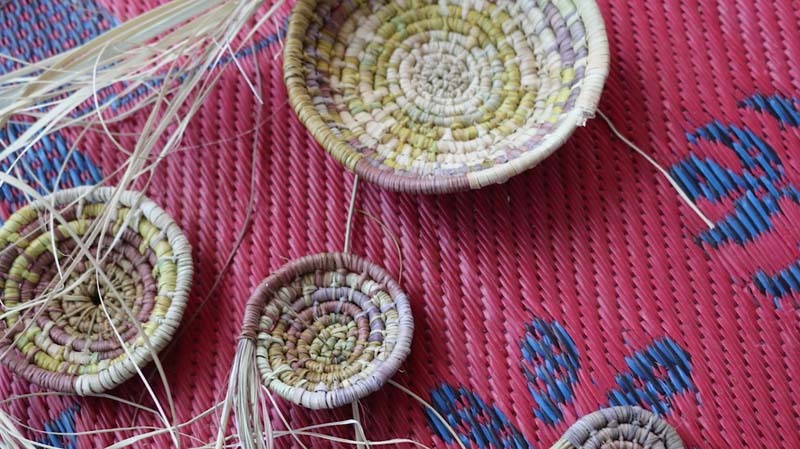 Hear stories about the process of stripping and drying pandanus, searching for colour and dyeing pandanus while learning to weave in the Urapunga style.